Warning: This is not your run-of-the-mill Bible study! 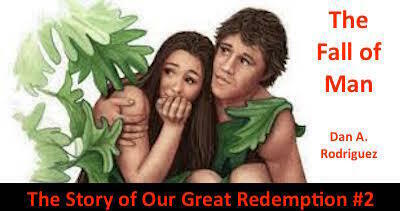 What happened when Adam and Eve sinned? Why do we need to know? This truth, revealed in Genesis, is one of the great central truths of the Bible. The fall of man affected the whole human race born from the first man and woman on the planet. This is where we begin to understand WHY Jesus had to come. It is the first glimpse into the necessity of redemption. Please forward these podcasts and free book to family, friends, and acquaintances. Be a sender of the Word! It would be great to have a huge mailing list to send out this information, but many of you have larger mailing list than me and you can help get the Word out. Thank you! Be mightily blessed through the Word!